This refers to all devices which have two or more connections, one of which may vent direct to atmosphere. Our range includes different types of in-line devices apart from deflagration and detonation flame arresters. 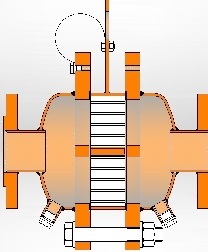 Many designs are available with straight in-line connection but also with angle-type and cascaded connections.